MAX! 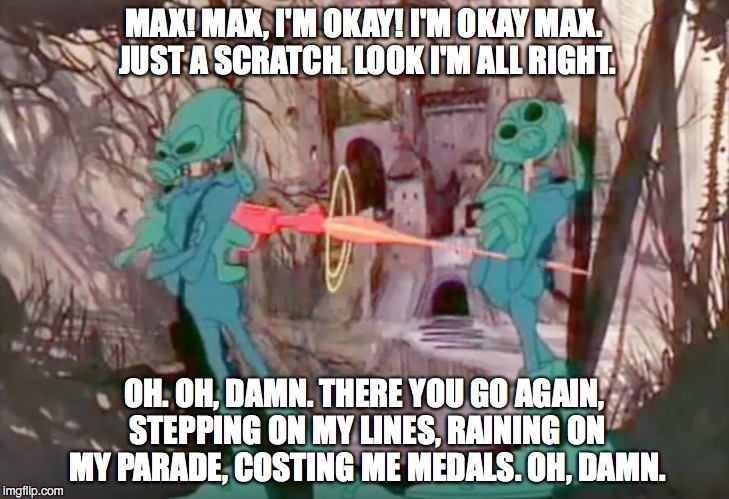 MAX, I'M OKAY! I'M OKAY MAX. JUST A SCRATCH. LOOK I'M ALL RIGHT. OH. OH, DAMN. THERE YOU GO AGAIN, STEPPING ON MY LINES, RAINING ON MY PARADE, COSTING ME MEDALS. OH, DAMN.